I think my love for Jackson Dyer's music is pretty obvious - almost 10 features after the day I stumbled upon him playing in Berlin's Mauerpark, . 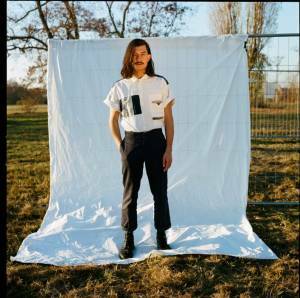 Yesterday, the Australian-born, Berlin-based musician released his latest single "CBSKY" - a soothing and emotional blend of indie and alt/pop sounds. Jackson's voice is absolutely , so for anyone who has listened to his previous . In a few seconds, however, "CBSKY" takes a rather different than the usual direction. There's something about the drums which feels... refreshingly different. The track is actually the first single from his upcoming new album Inlet. The song embodies the solitude and open expanses of Australia’s regional areas and (I believe) was written by Jackon during his last visit to the motherland. In addition, it comes with stunning visuals which you can watch below.